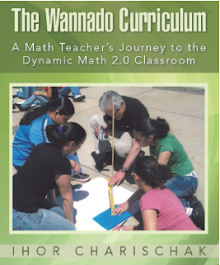 refreshing new movement in the NCTM world. Armed with a table in the exhibit hall at the annual NCTM meeting in Boston this fledgling group of young social network activist teachers are slowly yet exponentially changing the face of math education. At least that's how it appeared to me every time I passed the booth and could barely squeeze in to say hello to the latest facilitator (of which there were many) at the booth. 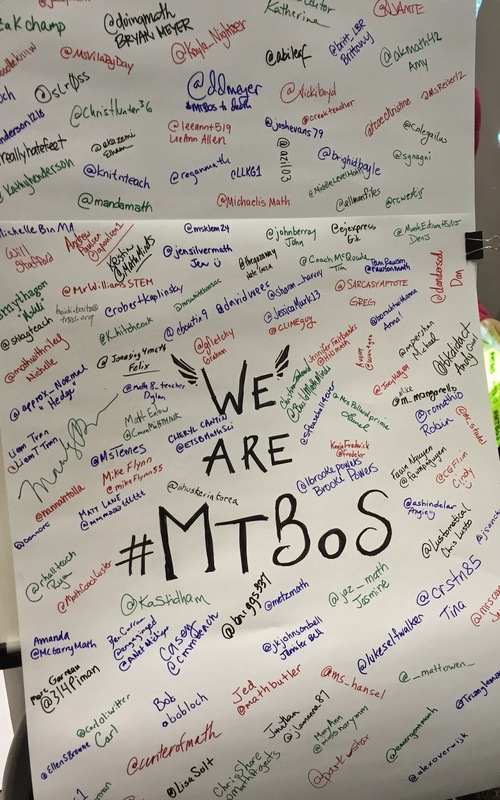 Led by Tina Cardone's enthusiasm the MTBoS booth was the best place to visit. What did they have to offer? Lot's of free stuff that members created and shared passionately with visitors. "Do you tweet? Do you blog?" If no was the answer then newbie visitors were given a 5 minute overview of the advantages of these socially viable venues. I'm sure many "joined" the movement and signed their names on the chart with their new twitter handles. Tonight MTBoS will be doing a webinar having participants share their experiences at the conference. Click here for details. 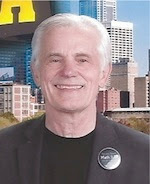 More NCTM conference adventures in my next blog entry.